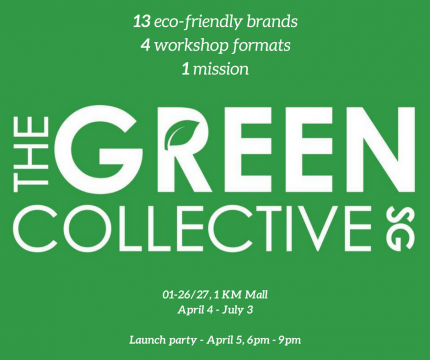 It's happening, and you are all invited to the launch of The Green Collective SG at OneKM mall. The Green Collective is Singapore’s first green lifestyle pop-up. More than a dozen homegrown eco brands have teamed up to launch a multi-brand concept store at OneKM Mall. From April to 3 July 2018, visitors can look forward to shopping from a range of sustainable products, and participate in regular workshops ranging from making soaps, natural dyes and transforming upcycled textiles to handcrafted necklaces. Co-hosting the launch will be The Maker journal, which will also be launching The Maker Bazaar website. The Maker Journal will be showcasing creations in a fashion presentation from their line up of vendors including Project Love Mei, LIENSTUDIO, Lisa Teng Studios: Designer & Maker, Ashenfeld andKopou. 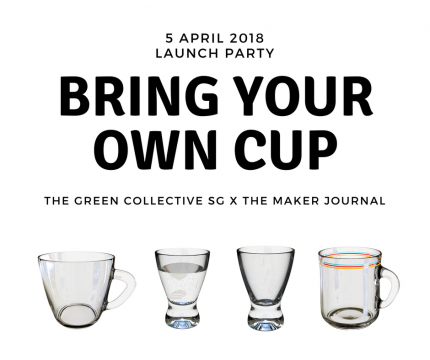 Join us for an evening of drinks and conversation among conscious local brands and change makers and get to know the people behind The Green Collective Singapore and The Maker Journal. This is a #byo event - bring your own cup / mug.